There is nothing more magical than the beauty and grace of a classic Concordia. As organizers of the Corinthian Classic Yacht Regatta, when the Concordia's appear, we grin from ear to ear. We know that with the Concordia's in attendance, it's truly a classic event. That's why we always have had a Concordia Division and awarded trophies to the best performances in that Division. We're doing the same again this year. We know there are a few more of you out there that would love to make a run at some silver, so why not join us. 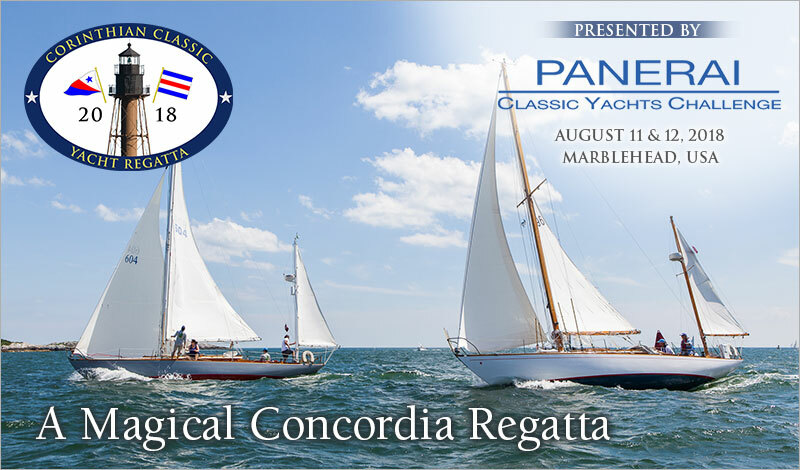 The Corinthian Classic Yacht Regatta – presented by Officine Panerai is a terrific venue for the Concordia's. This year's event will be held August 11th & 12th. We urge you to enter this event now. You'll be happy you did. It will be 'Magic'.